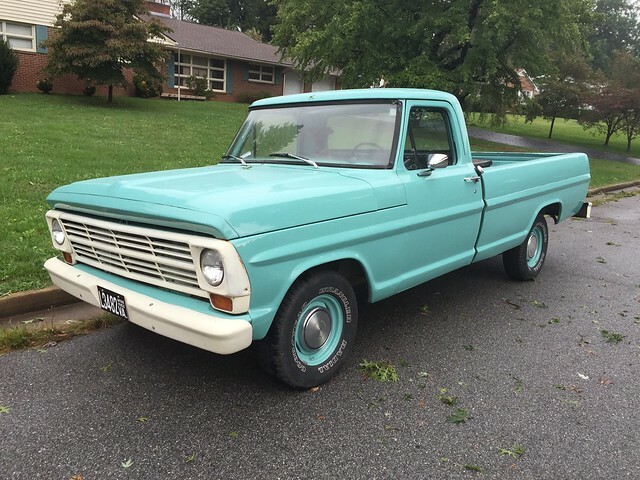 1968 Ford F100. The truck is great for an old, rusty F100. I've used it as a parts runner and we take it to breakfast most Saturday mornings. It's terrible to drive by modern standards, which makes it great. It always starts, doesn't matter if it's 20 or 90 outside. In addition to the cab corners, I purchased a set of floor pans (not installed) and installed a "newer" set of tires. 240ci, inline 6, 3 on the tree. Looks very presentable from 10 feet.